A Mercer County woman fell victim to a common scam that cost her $17,000. A State Police report said the woman, in her 80s, received a call claiming that she had a relative who was in legal trouble and needed money. The woman sent two separate packages containing $8,500 each over the course of two days in March. The Federal Trade Commission reminds people to never wire money, send a check, or overnight a money order. The commission says if the caller is asking for this type of payment, it is always a scam. 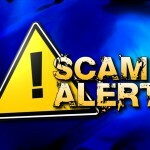 The post Mercer County Woman Scammed Out of $17K appeared first on ButlerRadio.com – Butler, PA .